The moment Darius Rucker wore his country hat and donned country boots, his star illuminated anew and radiated with soulful sincerity, that can only come from the heart of a true blue country music artist. Rucker sky-rocketed to fame as lead singer and rhythm guitarist of rock-alternative outfit Hootie & The Blowfish. They released five studio albums and had six top 40 hits on Billboard Hot 100. In 2002, he shifted gears and went on to release his solo R&B album ‘Back to Then’. 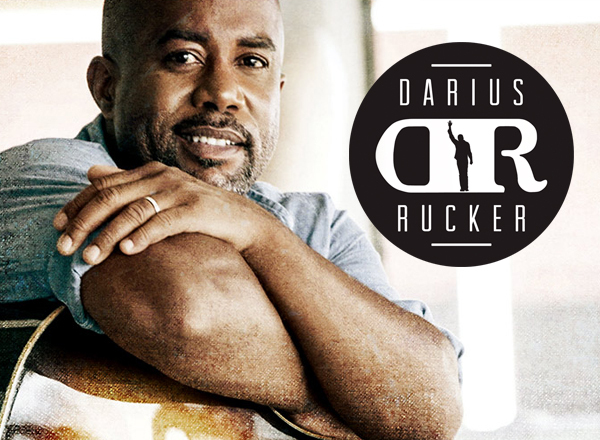 Six years after, Rucker resurfaced with a country album in tow, titled ‘Learn To Live’. Its carrier single "Don't Think I Don't Think About It”, earned him the record of being one of the very few black artists to reach number one on the Hot Country charts, following Charles Pride in 1983 and Ray Charles in 1985. He also became the second black artist to win an award from the Country Music Association, and the first black artist to win a New Artist Award from the Country Music Association. With this new leg of a tour, fans will surely be delighted to hear a number of his outstanding hits live, like "It Won't Be Like This For Long," "Alright," "Don't Think I Don't Think About It," "Come Back Song," "This," "I Got Nothing," "True Believers," "Wagon Wheel," and "Homegrown Honey." Massive excitement only means fast-selling tickets. Hurry and get a grip on one, two, or more of those highly in-demand tickets before they run out!